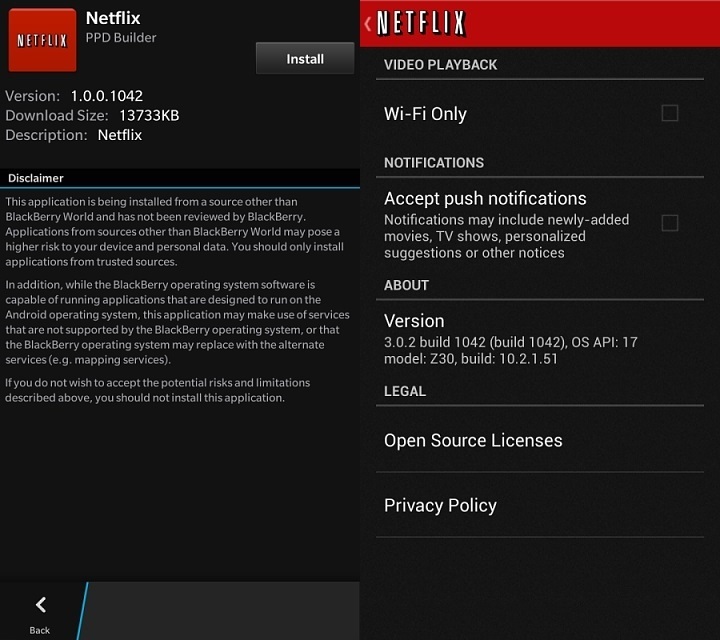 A usable build of the upcoming BlackBerry 10.2.1 update has been leaked online. The build, version 10.2.1.1055, has plenty of new additions and other minor updates such as customizable quick settings, picture lock password and several UI tweaks. The biggest change on this update, however, is in the unlocking of the Android runtime, allowing the BlackBerry 10 platform to install Android apps without sideloading. Yup, while it is just technically a point update (and so far only available on the Q10, Q5 and the Z10), BlackBerry 10.2.1 will allow users to install Android apps without the cumbersome and complicated process of sideloading. It does make more sense to make Android app downloads easier, rather than integrating the Google Play Store as rumoured earlier. Now, the process of installing an Android app has been made infinitely easier to end users. Android apps are now treated as “third-party” apps, which will trigger a disclaimer informing users that the app is being installed outside of BlackBerry World, and BlackBerry bears no responsibility for the risks. However, users will have to source for the Android .apk files themselves. A CrackBerry forumer pointed to a pretty useful Chrome extension called APK downloader that captures the .apk files contained when browsing on the link on an app hosted on the Google Play Store, which will be very useful in this case. Of course, this is still a very early build and is nowhere near ready for public release. 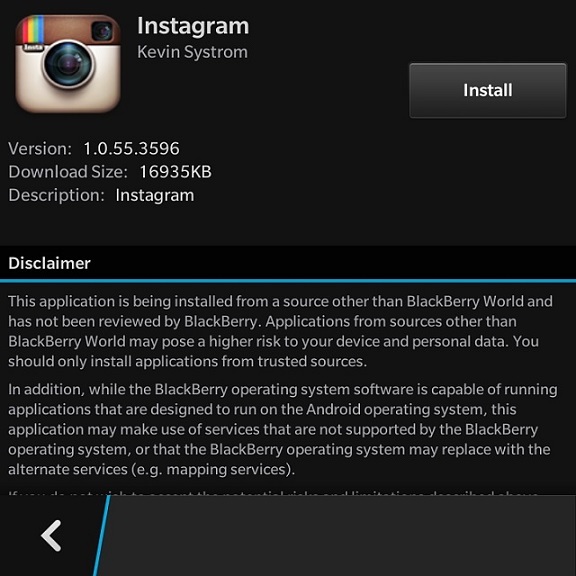 If you are feeling adventurous with your BB10 device, however, do check out the source link below.